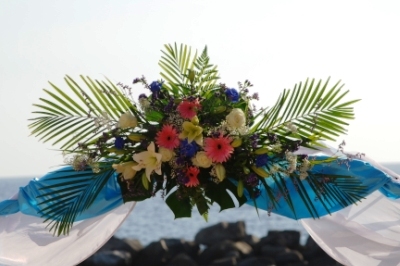 ﻿ Beach wedding with lovely set-up in Tenerife! 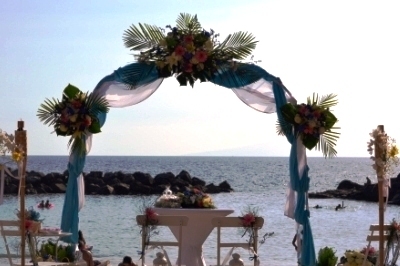 Tenerife is an amazing island offering beautiful beaches for a wedding in Spain, therefore many people choose it for their wedding ceremony abroad. 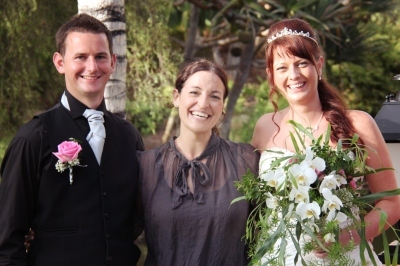 Being a professional wedding planner, realized that dream for this lovely couple and as you can see on the pictures they really enjoyed their wedding ceremony in Canary Islands. 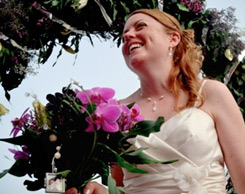 The florist of My perfect wedding created a wonderful flower arrangement. 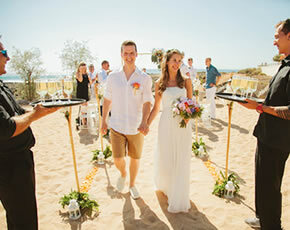 Hand in hand they walk to their wedding ceremony in Canary Islands. 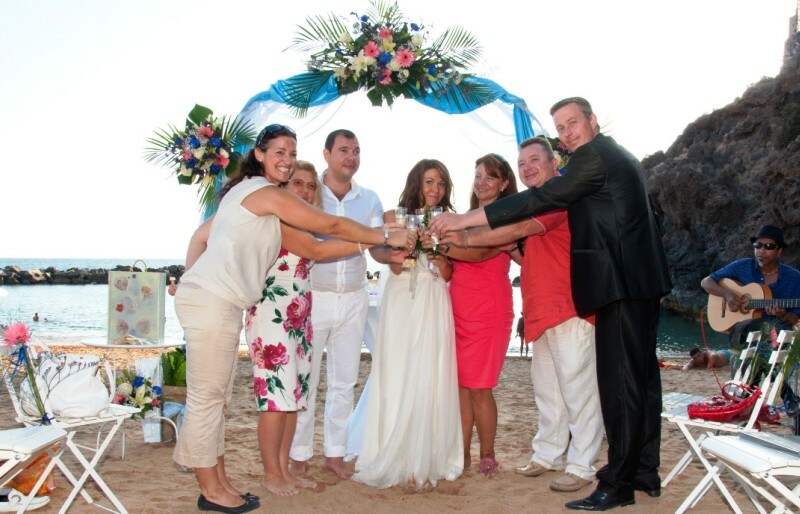 Our Tenerife marriage celebrants always prepare perfect speeches. 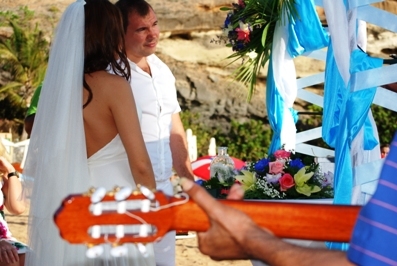 On this special day it is in Russian and our talented guitar player creates a beautiful atmosphere playing romantic songs! The hand ceremony is a very romantic moment for them. 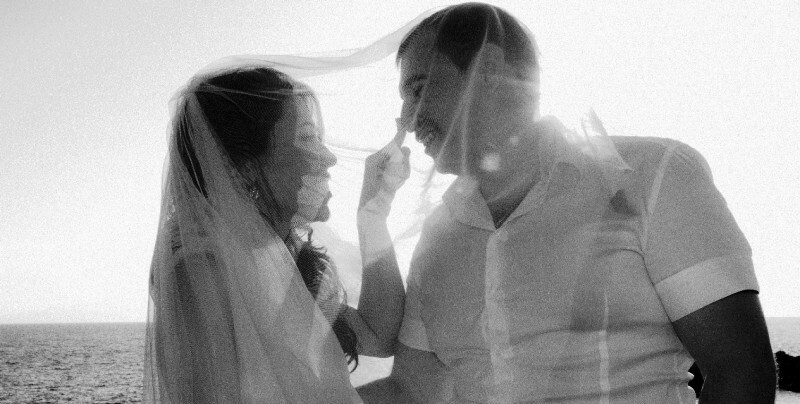 The Sand tradition, created by Nadine García Breuer their wedding planner in Tenerife, is another highlight on this fantastic wedding day. The wedding kiss seals their promise to be a good wife and husband! 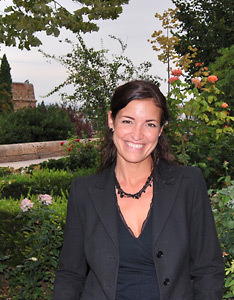 Also Nadine García Breuer congratulates them and their family! Start of an amazing photo shoot in Tenerife! 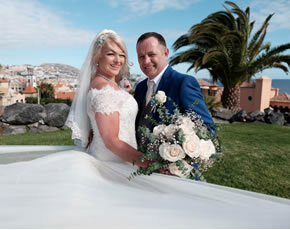 They had much fun on their wedding island Tenerife. 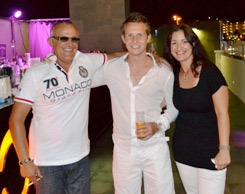 Tenerife offers pleasant temperatures also during the evening hours! The professional photographer of My perfect wedding took many plenty of photos in front of different backgrounds. 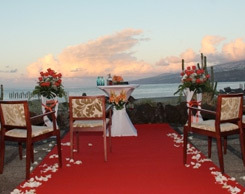 Tenerife will always remain an unforgettable experience for the bridal couple! After their beautiful ceremony and after wedding photo shoot they had a great dinner in a romantic venue. 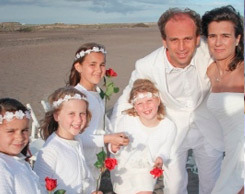 My perfect wedding wishes them many more happy moments to come and that they will return one day to Tenerife!